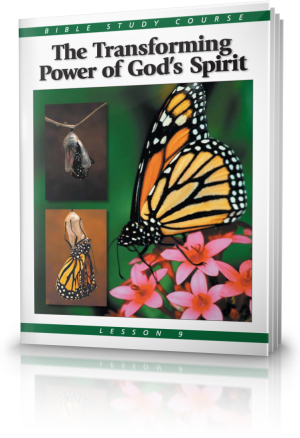 In this lesson we discuss this remarkable change, made possible by the transforming power of God's Spirit. To comprehend how God's Spirit can transform us, we must understand what that spirit is. So with Adam and Eve the history of human beings began without the active presence of God in their lives; they lacked the power and help of His Spirit. God's Spirit is not a substitute for the knowledge of right and wrong that comes from God's commandments and laws. 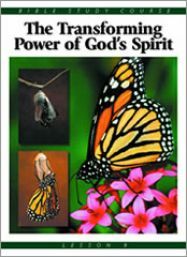 Rather, through His Spirit God supplies the power we need to obey His Word and do His will. How vital is the Holy Spirit to our relationship with God the Father and Jesus Christ? The teachings of Jesus of Nazareth are revolutionary—not because He annulled the laws God revealed, but because He expanded them, showing their spiritual intent. When our minds and hearts are transformed by the Holy Spirit, we put on Christ. Paul describes this dramatic change in our hearts and minds as Jesus Christ living within us. The fruit of the Spirit reflects the goodness, faithfulness and self-restraint inherent in God's nature. If His Spirit is in us, these traits that are the Spirit's fruit should also become fundamental characteristics of our nature. Our ability to remain spiritually strong and active depends on how much we rely on God. Our line of communication for that help is through prayer. If we have God's Spirit, what is our destiny when Jesus returns? In lesson 10 we learn how those who receive the Holy Spirit are members of the Body of Christ, the Church.